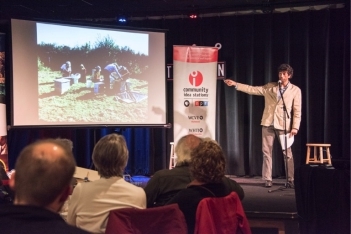 Former NASA Astronaut Dr. Franklin Chang-Diàz told a story about turning hopes and dreams into reality. It’s a story the retired astronaut, mechanical engineer and physicist knows well, since his own career keeps taking off! Virginia Commonwealth University School of Engineering presents Senior Design Expo 2012, an annual event where teams of engineering students share their innovative research and design prototypes with the greater Richmond community. 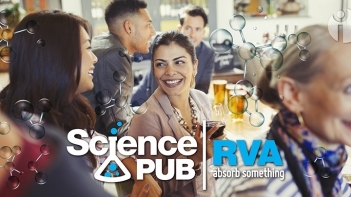 The event will take place on Friday, April 27, at 9:30 a.m., in the rotunda and adjacent rooms of the Science Museum of Virginia located at 2500 West Broad Street. When you were a kid, how many things did you build out of Popsicle sticks? Maybe a pencil holder or a box, a teepee, or a sling shot? What about a bridge that can withstand the added weight of hundreds of pounds? 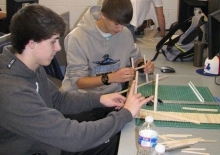 Students from Cosby High School’s Engineering Design Course recently developed designs and built bridges that could hold up under pressure.